From time to time, we all need some assistance, like the owner of this previous-generation Volkswagen Polo hatchback. 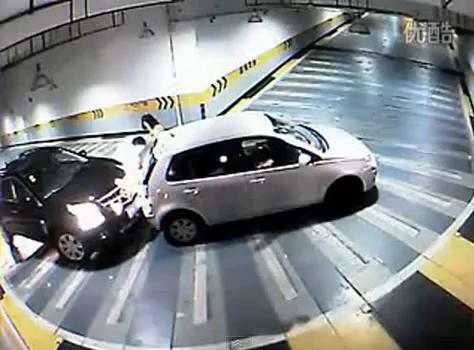 Shot in a South Korean underground car park via a CCTV camera, the driver, who seems inexperienced, couldn't get the manual-transmissioned car around the corner and ended up rolling into a Cadillac SRX. After explaining, the Cadillac driver was more than happy to assist her.